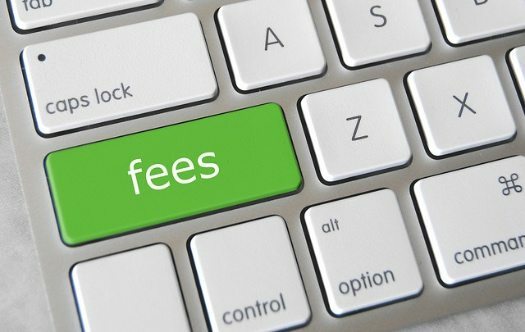 Reminder: Not All Fees are Taxes in Disguise! One of the most sacred tenets in the nonprofit sector is protecting charitable organizations through generally constitutionally protected tax exemptions, which are often carried out and negotiated at the local government level. This is why New Orleans nonprofits are feeling the burn following the city’s scaling back of a fee exemption they have enjoyed related to events. The city ordinance, which passed unanimously, was proposed by Councilwoman Stacy Head and developed with Mayor Mitch Landrieu’s office. It reduced various fees across the board, but by nixing the fee waivers for nonprofits, though still giving them a 50 percent discount, it’s expected to bring in an extra $1.4 million for the city. But, let’s slow down a minute here before we express outrage. There are a number of fees, and yes, even taxes (think payroll, special benefits, and in some cases related to sales) that nonprofits do and should pay. Fees related to the costs of doing business have been generally accepted by nonprofit organizations as just that, the cost of being an incorporated business. This varies from more recent trends where local governments seem to be skirting around true tax exemptions, and in most cases, property tax exemptions specifically. The Louisiana Constitution, like most state constitutions, grants property tax exemption to “property owned by a nonprofit corporation or association organized and operated exclusively for religious, dedicated places of burial, charitable, health, welfare, fraternal, or educational purposes,” ensuring that donor dollars are funneled into mostly programmatic expenses, meeting donor intent and leaving charitable organizations as good stewards of public trust and funds. This, however, does not exempt nonprofits from the costs related to special events or required liability insurance related to these events. In January, the New Orleans City Council voted to end the practice of waiving event permit fees related to street closures, tents, and public space. For example, the Mothership Foundation, which runs Bayou Boogaloo in Mid-City, had an annual budget in 2017 of about $480,000. It paid the city about $2,000 in fees, less than one percent of the budget, after the new ordinance passed before the festival. The organization’s president, Jared Zeller, said the city’s efforts to balance its budget were having an impact on nonprofits. However, this is also an opportunity where nonprofits can be seen as equals with local governments as problem-solvers and community partners. It is not always to the sector’s advantage to live in the more paternalistic arena of being passive recipients of government policies and funding. In the San Francisco Bay Area, two courts have banned assessing fees to parolees for probation programs. In Alameda County, these fees had averaged $6,000 per person, a financial blow that put former prisoners in debt and often led to recidivism.